Leader of the labour opposition on Wellingborough Council Andrew Scarborough says the authority's policy is too severe. Wellingborough Council is the only one in the north Northamptonshire not to provide severe weather emergency accommodation for rough sleepers in this cold snap. Kettering, Corby and East Northants councils have all been offering accommodation and breakfast for the rough sleepers in their boroughs since either Wednesday or Thursday of last week. All local authorities have responsibilities around homelessness but Severe Weather Emergency Protocols (SWEP) are down to an individual council’s own making. Wellingborough Council’s policy is to bring in SWEP when the temperature is below freezing for three consecutive nights. A spokesman for the authority said it ‘anticipates triggering’ SWEP tomorrow. A 57-year-old rough sleeper died on the town’s streets last month (December). Leader of the labour opposition Cllr Andrew Scarborough said he thought the council should have a more liberal approach to providing help for the homeless on sub-zero nights. Wellingborough’s three neighbouring authorities have been providing emergency accommodation since the middle of last week. 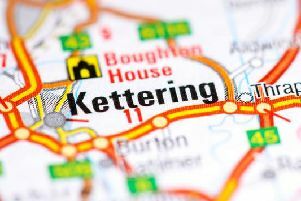 East Northants and Corby enacted SWEP on Wednesday, January 16, and Kettering introduced it last Thursday, January 17. Corby Council provided bed and breakfast accommodation to nine people last night (Monday) and eight people the two nights before that. The authority says it has not been using the town’s night shelter based in the police station, Corby Nightlight because it has been full. Kettering has provided accommodation to three rough sleepers. East Northants Council says no-one has yet used its SWEP service. Wellingborough has a roving night shelter which operates out of church halls five nights a week to provide a bed for the growing number of rough sleepers in the town. It is manned by volunteers and plans are in place for a permanent night shelter at an outbuilding within the grounds of Wellingborough School. A report published in November by homeless charity Shelter found that Wellingborough had the highest homeless rate, of people rough sleeping or living in temporary accommodation in the region.